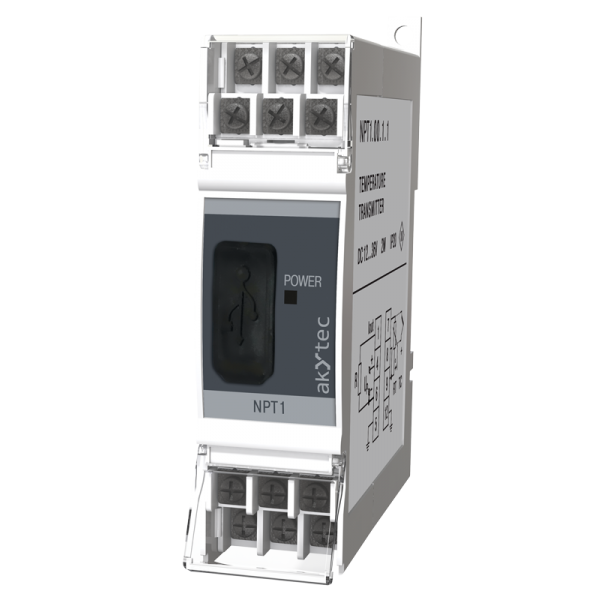 The NPT1 is a universal temperature transmitter for DIN rail mounting. The device converts the sensor signal from a thermocouple or RTD to a 0(4)-20 mA standard signal. The configuration is performed via the USB interface. No programming adapter is required. The configuration software is in delivery included. The NPT1 is designed for universal use in industrial applications. These temperature transmitters can be applied to all automation systems in which different types of temperature sensors are used and output signals have to be converted to a 0(4)-20 mA standard signal.